Upon an application for Ordinary Membership or Associate Membership being approved by the Managing Committee, and the relevant entrance fee and annual subscription being paid by the applicant, and upon any Honorary Life Member being admitted to the Association, such applicant shall be admitted as a Member of the Association. 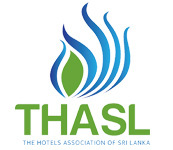 Ordinary membership is available to natural persons or corporate bodies owing at least one fully constructed “approved hotel” or “small luxury hotel/ boutique or heritage home/ thematic bungalow” which satisfies the minimum criteria for registration with the Sri Lanka Tourism Development Authority on the date of making an application for ordinary membership. Natural persons or corporate bodies which have begun construction of an approved hotel as recognized by the Sri Lanka Tourism Development Authority on the date of making an application for associate Membership. Any regional/provincial association or organization, whether corporate or unincorporated, which is engaged in activity connected to the tourist hotel industry. Natural persons who have rendered distinguished service to the Association and to the tourist hotel industry and who are deemed to be worthy of being accorded this honour, shall be admitted as Honorary Life Members at any AGM of the Association. The application shall then be forwarded to THASL Management Committee for review & consideration. THASL Management Committee shall have the absolute discretion to accept or reject an application without assigning any reasons whatsoever. Notice of approval will be communicated to the applicant within 14(fourteen) days of the determination of the Management Committee. This approval however is subject to payment of the required fees and annual subscription. Both Ordinary and Associate Members shall pay an Entrance Fee of Rupees Ten Thousand (Rs 10,000/-). Honorary Life Members shall not be required to pay an Entrance fee. Each Ordinary Member shall pay an Annual Subscription payable in advance on the 1st of April each year and calculated at a rate of Rupees Two Hundred and Fifty (Rs. 250/-) per guest room owned by such ordinary Member on that date. Notwithstanding the above, the Minimum Annual Subscription payable is Rupees Ten Thousand (Rs.10,000/-). In the event of late payment of subscriptions by a Member, a surcharge of 25% for a delay of six(06) months, and 40% for a delay of 12 months, shall be paid by such Member. Each Associate Member shall pay a fixed Annual Subscription of Rupees Ten Thousand (Rs.10,000/-) payable in advance on the 1st day of April each year. Any other matter/s related to the membership not stated here shall be referred to the Articles of Association of THASL.